Provide comfort for the family of Sharon Rea with a meaningful gesture of sympathy. 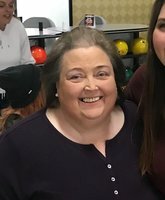 Ms. Sharon Miller Rea, of Sisk-Carter Road, passed away Wednesday, March 20, 2019 at her home. A graveside service will be 1 PM Saturday at West Lawn Memorial Park in China Grove officiated by Rev. James Strickland. The family will receive friends beginning at 11 AM Saturday at Wilkinson Funeral Home. Sharon was born June 15, 1959 in Raleigh to Jackie Bailey Miller and Charles Miller. She retired as a manager from The Pantry in China Grove. Sharon’s life revolved around her family, her daughters and grandchildren. She also enjoyed arts and crafts. Sharon is described as being the “life of the party”. She would say “life is good” and “Jesus loves you” anytime you were upset and it would always make you feel better. Sharon is survived by daughters Amy Hunsucker and husband Johnny of Salisbury, and Crystal Rea and husband Michael Bullard of Rockwell; grandchildren Lacee, Kaylie, Austin, and Madison; sisters Linda Barnes, Kristy Cady, and Dianne Parker; brothers, Charles “Chuck” Miller, and Jimmy; and a number of nieces and nephews. Wilkinson Funeral Home is serving the Rea family. 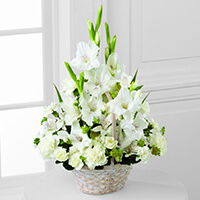 To send flowers in memory of Sharon Miller Rea, please visit our Heartfelt Sympathies Store. The Hucks Family sent flowers to the family of Sharon Miller Rea. The Hucks Family purchased the The FTD Eternal Affection Arrangement for the family of Sharon Rea.